Gov. 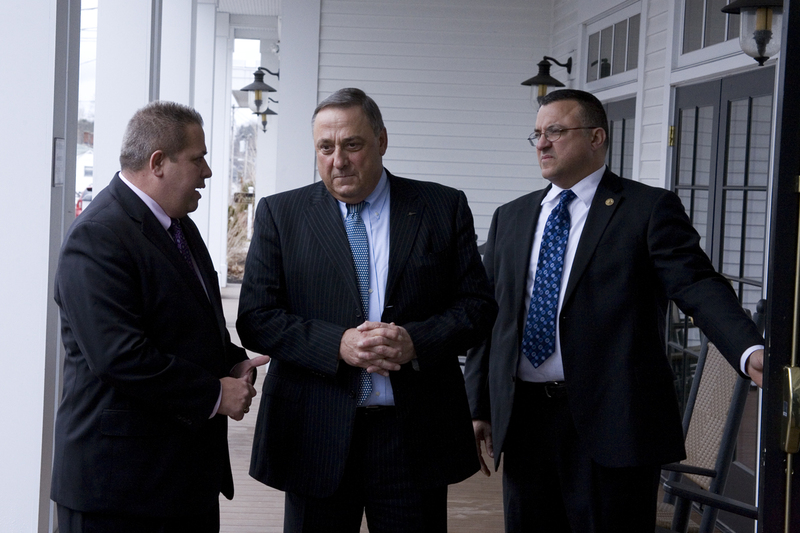 Paul LePage outside the Inn at Brunswick Station Wednesday before he delivered a speech to a room full of business owners and town officials. The Southern Maine Midcoast Chamber, which hosted the luncheon event, did not allow photos during LePage’s speech as part of its event policy.